Florins are also called two shillings. interestingly all the dates on them are in Roman numerals. 1849 "Godless" Silver, 11.3 grams, 28mm Diameter. 1851-1887 "Gothic" Silver, 11.35 grams, 30mm Diameter. 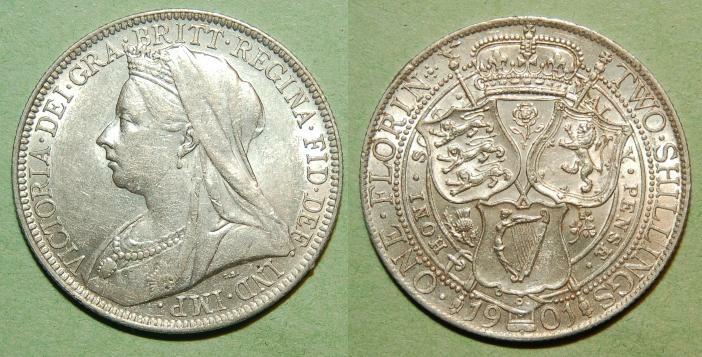 1887-1892 "Jubilee head" Silver, 11.3 grams, 29.5mm Diameter. 1893-1901 "Old head" Silver, 11.3 grams, 28.5mm Diameter.